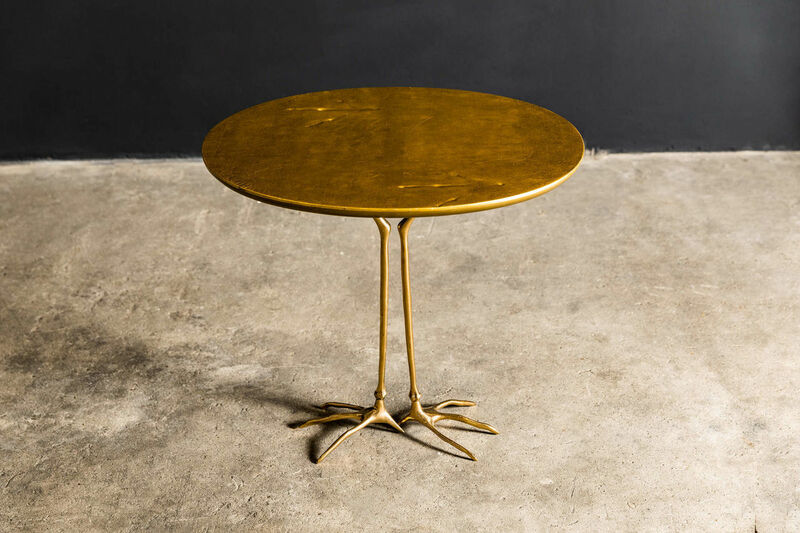 Traccia Table by Meret Oppenheim for Simon Gavina | Castorina & Co. 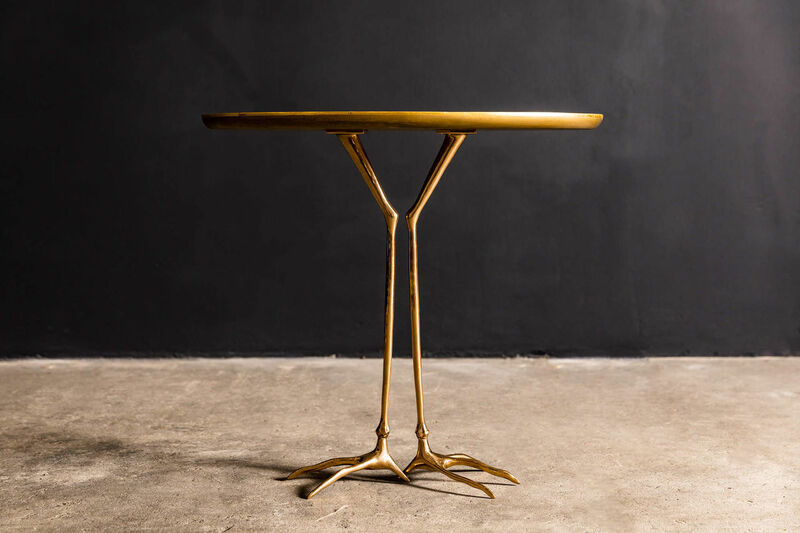 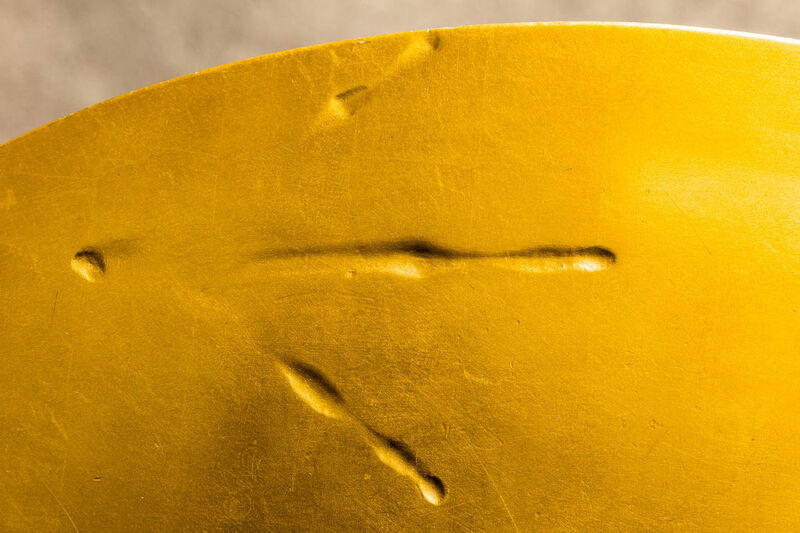 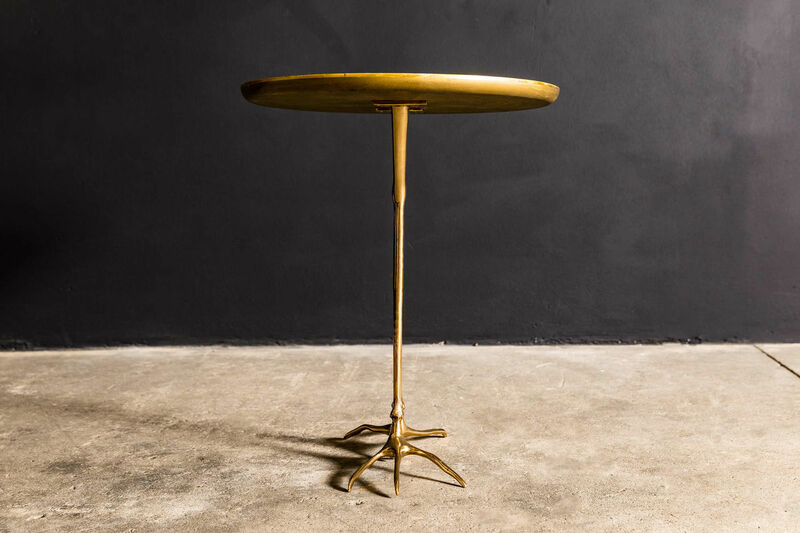 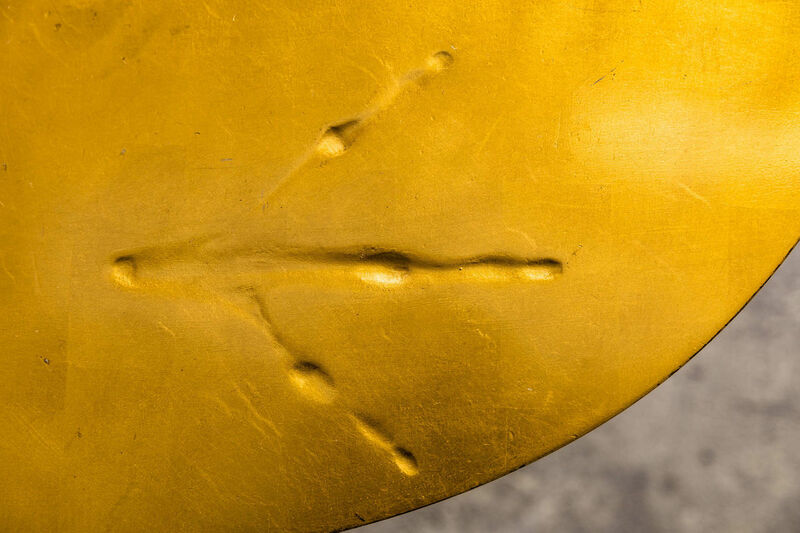 Designed in 1939 by Surrealist artist Meret Oppenheim the Traccia table is very distinctive. 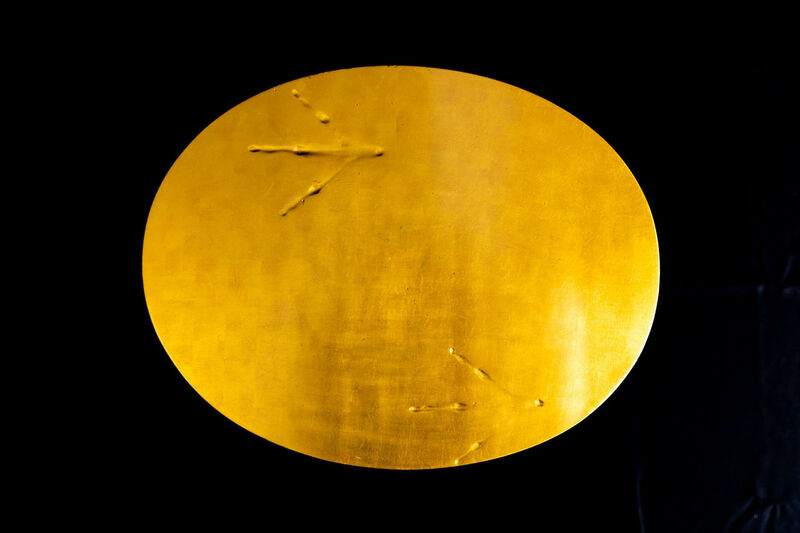 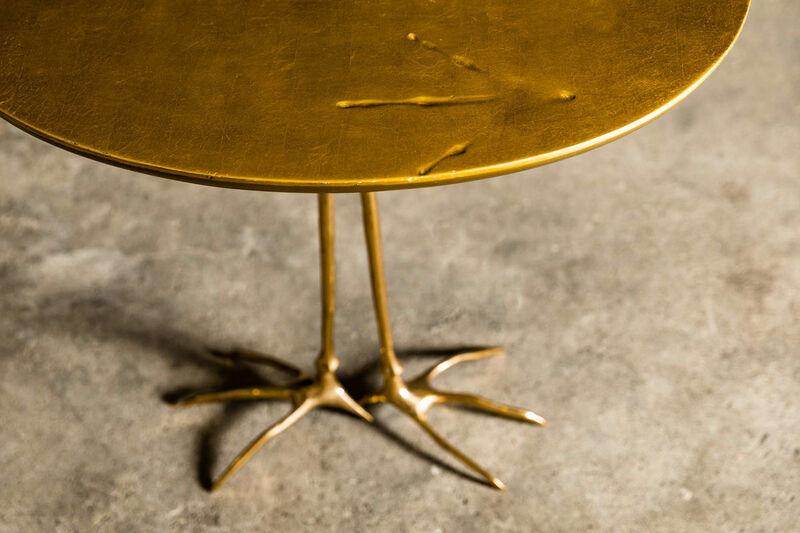 The table is an abstract representation of a bird even though it is without its body, the elements such as the legs, the marks and the egg. 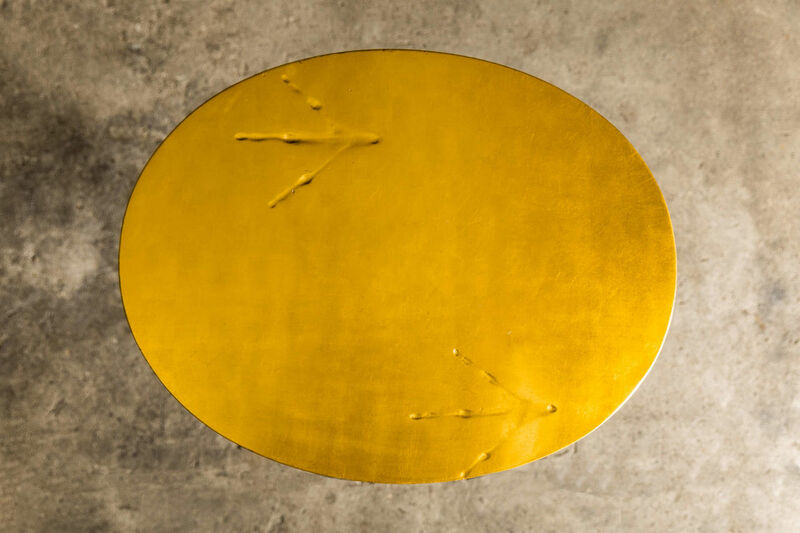 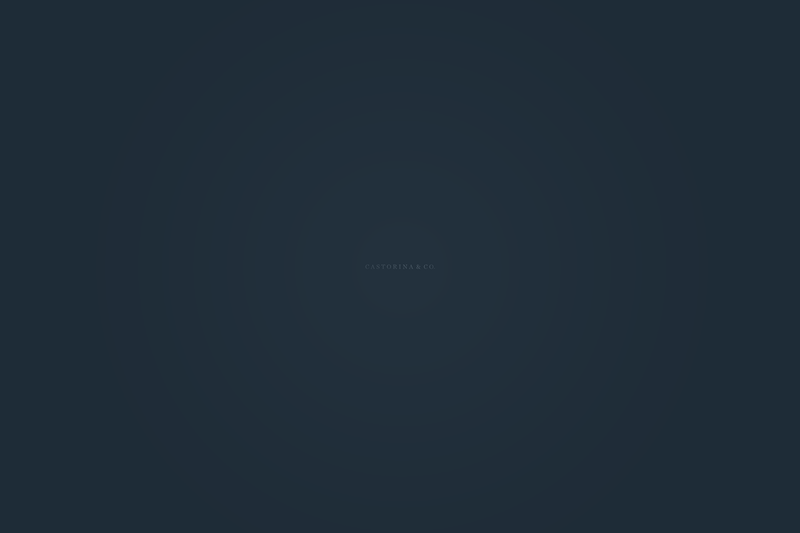 The name Traccia means trace and references to the fact that something can represent a certain object, even though what we see are only traces. 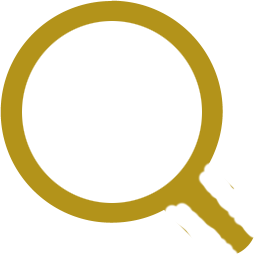 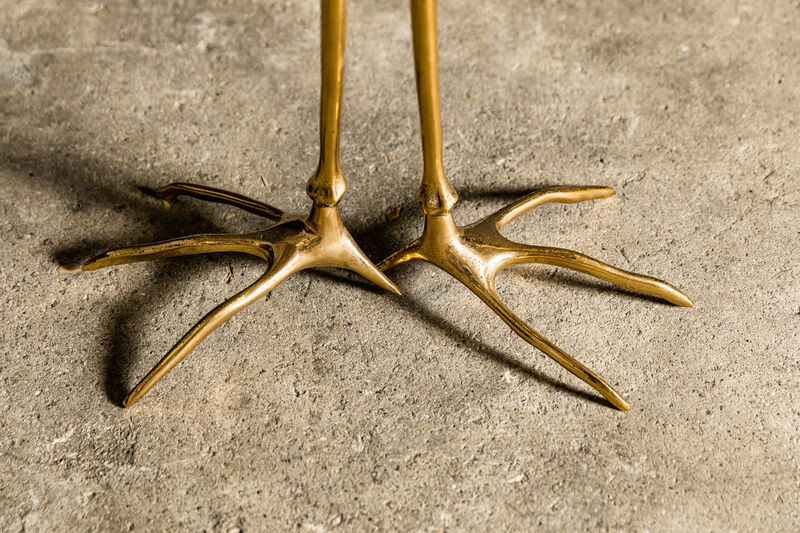 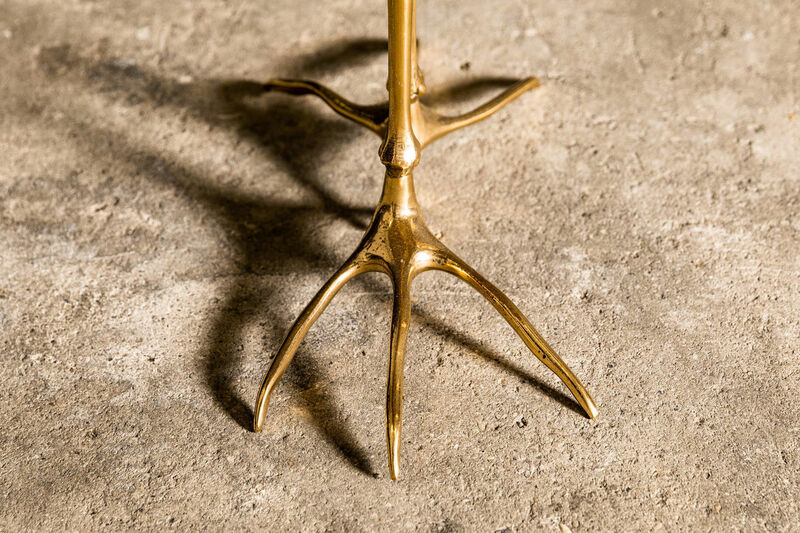 The legs are solid cast bronze and the wood top is covered by gold leaf. 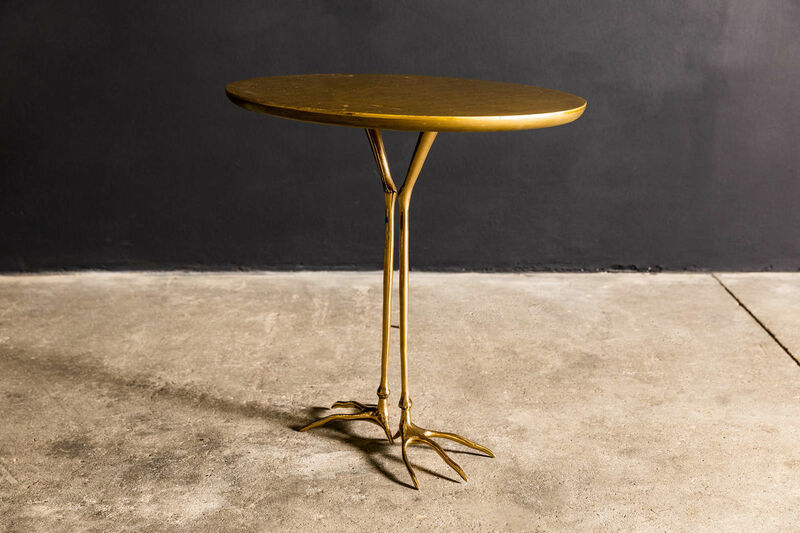 This table is an original 80s production piece.